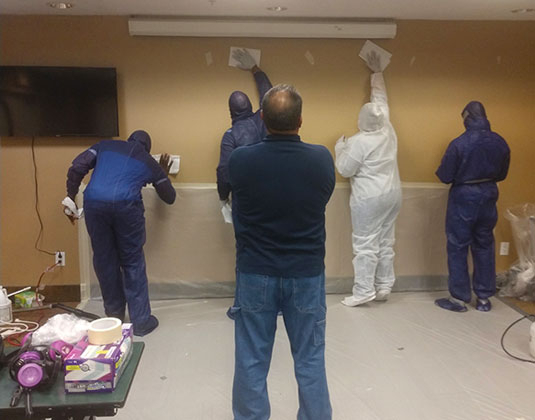 AAA has partnered with The CASE Institute, Inc., a nonprofit organization, to provide accredited Lead-based Paint (LBP) Training that meets EPA and NC-DHHS regulations. The training that is presently approved includes LBP Initial Supervisor and Worker, along with the refreshers. Refreshers for accreditations are required every three years for EPA and every two years for NC-DHHS. There is no grace period for lead accreditations. Since April 2010, any renovation work that disturbs more than 6 square feet per room in the interior or 20 square feet on the exterior of a residence the was built prior to 1978 falls under the EPA Lead Renovation, Repair and Painting Rule (RRP Rule). The courses for initial and refresher training is provided and is accredited by EPA and NC-DHHS. AAA will soon offer Lead Inspector and Risk Assessor Initial and Refresher. Watch our schedule.